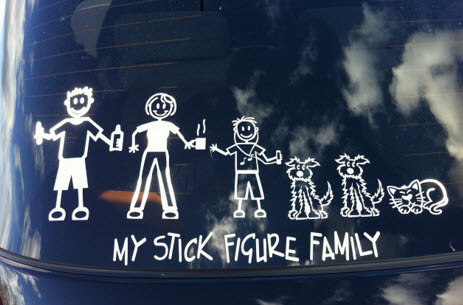 Over the past few years, the stick family car decals have mutated into a life of their own, which is just as bloody well as someone had to do it. There are plenty of mutations in my local area, so I’m honouring them with a page all of their own. Lucky the driver didn’t give a flying whatsit about me taking the pic!